EXTERMELY VERSATILE: Both portable and versatile enough to handle various upper body workouts, these parallettes provide a convenient all in one exercise solution for CrossFit, gymnastics and calisthenics bodyweight training movements including: L-sits, dips, push ups, handstands, planche progressions, and several other upper body exercises; use the added eBook for exercise instructions and body weight workout tips on push-up / planche training. Nothing beats a good home workout—provided you have the right home equipment. 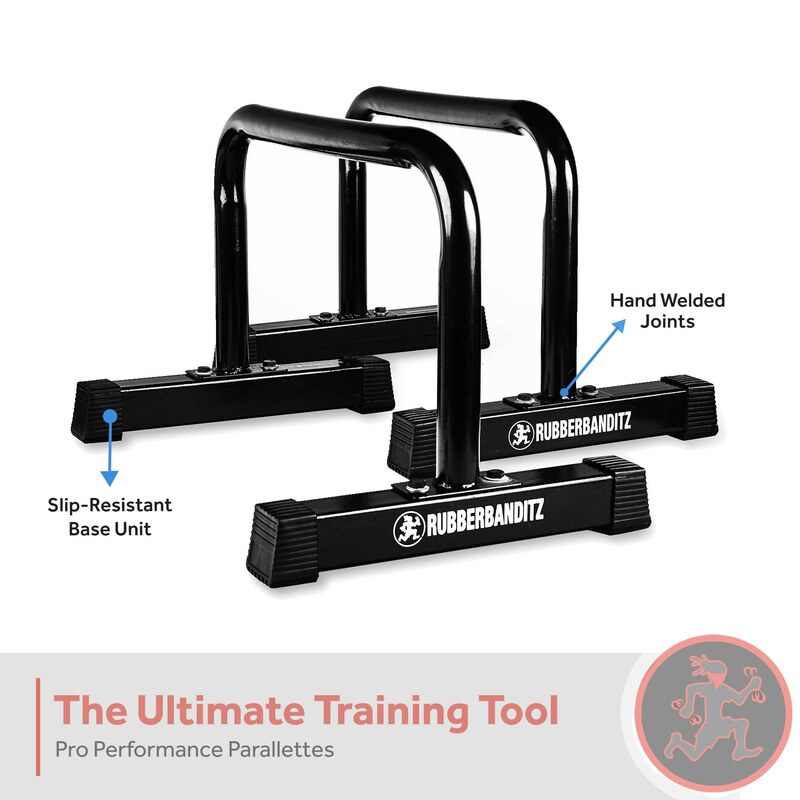 If you’re searching for an easy and effective upper body exercise solution for your home, gym, or office, there is no better choice than these heavy-duty parallettes pushup bars from our RubberBanditz exercise experts. Engineered for ergonomic performance, workout versatility, and superior durability, these easy-to-use parallel bars are an all-in-one upper body solution that allows users to properly execute pushups, dips, L-sits, handstands, planche progressions and a host of other upper body and CrossFit workouts. Great for all fitness levels and all budgets, they're a must-have for any bodyweight training enthusiasts. What separates these heavy-duty parallettes pushup bars from the competition is their superior design and exceptional overall build quality. The problem with many parallettes and pushup bars is their flimsiness and unpredictable durability. When you try to exercise, they can slide around or break altogether. Manufactured with industrial-grade solid stainless steel and designed for unparalleled durability, these parallettes pushup bars are built to last a lifetime. 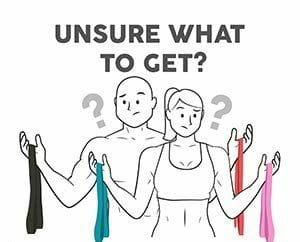 They're versatility makes them the perfect investment for those looking for an all-in-one upper body workout solution. 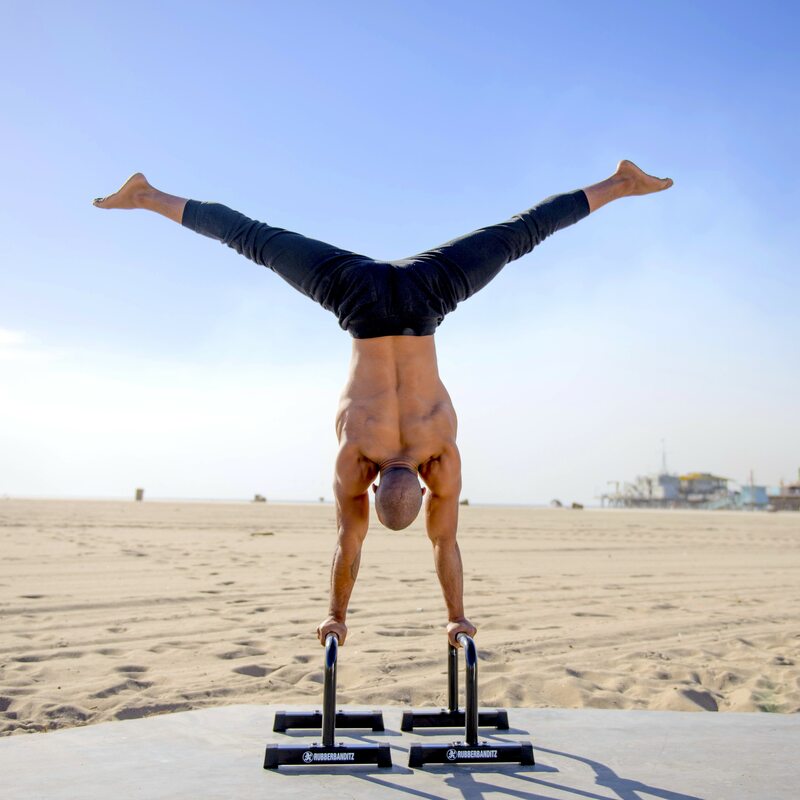 Portable enough to take to the beach or park and equipped with non-skid feet for maximized safety during exercise, these heavy-duty parallettes pushup bars are a versatile functional bodyweight training tool that ensure an excellent workout anywhere. They're also easy to set up (all installation hardware included) and protected with our money-back guarantee. 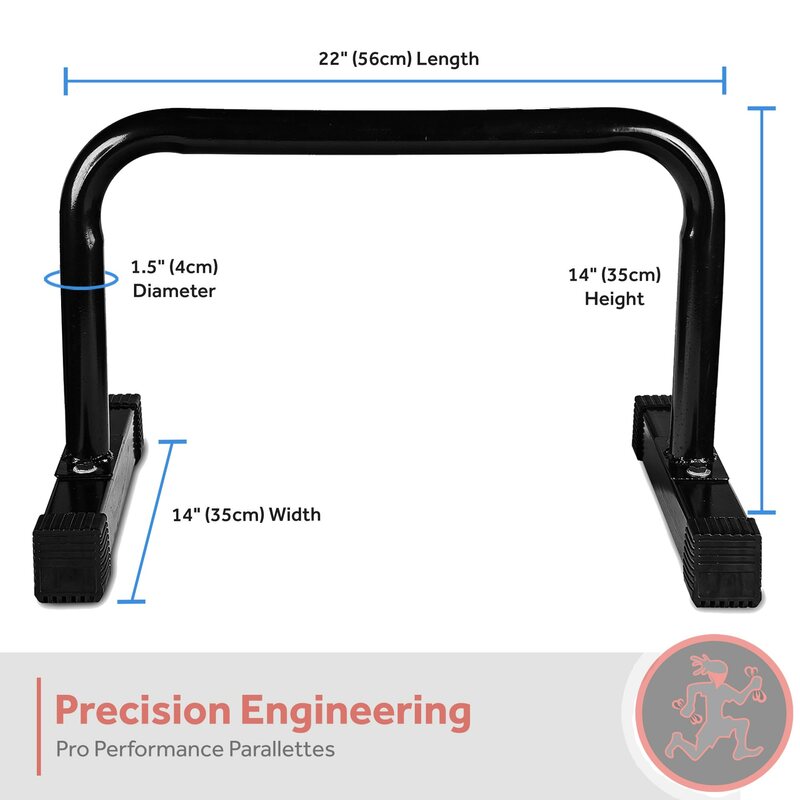 If you decide for any reason that these heavy-duty parallettes pushup bars aren't the right fit for you, simply send them back for a full refund. Our premium bands are made from natural rubber latex which is over 99.998% free of soluble proteins (latex allergens). Effects of use by people with latex sensitivity is unknown and not recommended. These are a pair / set of 2. THe tubes are hollow or solid? This is a pair / set of 2.